The hope is that entrepreneurs will benefit from the collection of tools by implementing one or more of them as part of their own internet marketing strategies. The resource is compiled in an entertaining yet straightforward manner and is presented as part of James’ ongoing mission to support small businesses, start-ups and entrepreneurs. The resource is a compliment to the other resources, services and support James Noble offers to smaller enterprises. James T Noble has helped some of the world’s largest brands and companies market their products and services online, including Virgin, Walt Disney Corporation, Coca Cola, Paramount Pictures and many others. James lives in the UK and works with small business owners worldwide to accelerate their growth through effective online marketing. 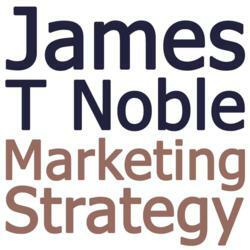 Visit the James T Noble website for more information and to get in touch with James. E-Junkie is an online blog aimed at providing businesses and entrepreneurs with resources, information and articles to help them realize commercial opportunities online.